You are here: Home / Community Information / Punta Gorda / WATERFRONT JAM EVERY THURSDAY! Every Thursday night throughout the year in Punta Gorda, Florida, you can find a wide mix of musicians jamming all over Gilchrist Park. This beautiful park sits right on the river & makes a beautiful setting for this weekly event. Nothing is really planned or rehearsed, as that is what a jam is all about! Musician or spectator, you will enjoy a diverse mix of old rock, new rock, jazz, country, folk & bluegrass. If you are a musician, you are encouraged to bring whatever instrument you play or just your singing voice! There are several “circles” or groups divided into genres… you might want to join one and then go off to mingle with another one. It is casual & fun! If you are a spectator, you may want to bring a lawn chair & a cooler (yes coolers are allowed)! Or you may want to just wander through and listen to all of the eclectic music being made & blowing through the palm trees. The musicians start showing up around 6pm & there is not a set time to shut it down. It is mostly all acoustic music, so the noise level is not a problem. Why not check it out this Thursday? 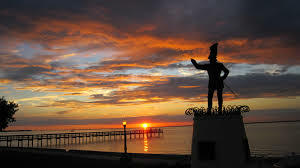 It is a fabulous place to watch the sun set over Charlotte Harbor & the entertainment is FREE! The address is: 400 West Retta Esplanade – Punta Gorda, FL. 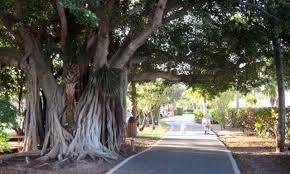 If you are interested in finding out about living in this wonderful paradise we call home, please click on Real Estate for sale in Punta Gorda. 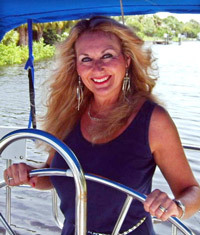 …or if you have any questions or want more information about real estate in Punta Gorda, Florida contact Your Suncoasteam @ 941-626-0744 or debra@suncoasteam.com.